I am Alpha and Omega, the beginning and the ending, says the Lord, which is, and which was, and which is to come, the Almighty. I am Alpha and Omega, the beginning and the ending, says ADONAI, which is, and which was, and which is to come, SHADDAI. And they had a king over them, which is the angel of the bottomless pit, whose name in the Ivriyt (Hebrew) tongue is Abaddon, but in the Greek tongue has his name Apollyon. And he gathered them together into a place called in the Ivriyt (Hebrew) tongue Armageddon. When we look at this phrase in Hebrew, something else emerges entirely. Below, is this verse in Hebrew, and its transliteration in English follows. Ani h’aleph v’tav – I am the Aleph (א) and Tav (ת). As in the Greek, the Aleph is the first letter of the Hebrew Aleph-bet (alphabet), and the Tav is the last letter. [The remainder of the phrase is techilah’ meaning the beginning or commencement, v’qatseh, meaning the outermost end, ha’hava, meaning the breath that is, a form of to be, ha’hayah, meaning that which was, again a form of to be, and v’yebua, meaning in its literal sense, he who is of the Yerushalayim to come, again a form of to be. (Yevuc was the original name of Yerushalayim). Shaddai means the Almighty]. Having distinguished between the Greek word κυριος (kurios) and θεος (theos), we can conclude that the speaker here is he who sits at the right hand of ha’Av (the Father): YAHUSHA HAMASHIACH. What does it mean, that HAMASHIACH should refer to himself as the Aleph Tav? Let us consider each of these letters separately. The Aleph is a letter which began in the Paleo-Hebrew as a depiction of an ox head. This ox head, when turned to point upward, is the modern capital “A” of our alphabet. This symbol conveys the power found in the horns of the ox, and its subsequent authority. However, there is nothing wasted in the Hebrew; even the spelling of the letter Aleph (אלפ), has its own intrinsic meaning. The ox head became the symbol of leadership and in meaning is distinguished from the letter resh (ר), from which the word rosh (as in Rosh Hashanah) is derived. Rosh denotes the first leader – the chief. The Aleph denotes the heavenly primacy; that is to say, the first position in all things. The modern Aleph (א) again is so very interesting, in that it depicts the whole of the concept in the revealing of the Ayn Sof – the infinite who occupies infinite dimensions infinitely – to mankind. In its essence, the modern Aleph has a yod (י) above and a yod (י) below, divided yet connected by the mediator vav (ו) we call ben Elohiym (Son of Elohiym). The letter Aleph then depicts the yod (the right hand of Elohiym), the yod (the left hand of Elohiym) and the vav (the mediator ben Elohiym – HAMASHIACH). It is of some consequence that the yod on earth (the hand of Elohiym on earth) is connected to the yod in the heavens (the hand of Elohiym in the heavens) by means of the vav, which means the nail. Behold the nail (ה then ו), behold the hand (ה then י). The term Aleph (Aleph-lamed-phe) means in its essence the oxhead, the shepherd’s staff, and the mouth or voice. Aleph as spelled out means the voice of the chief shepherd (or divine shepherd). It is also of some interest to those who follow the geometry of Hebrew, that this construction of the modern Aleph as yod-yod-vav, leaves in its wake a gematria of 26, which is the divine gematria of the tetragrammaton we transliterate as YAHUAH (again, יהוה). Fascinating, isn’t it? What of the Tav? The Tav in Paleo Hebrew was a mark that amounts to the crossing of two sticks to form some kind of a “t”. When the “t” is turned to an angle, it becomes an “X” of some sort, and of course, marks the spot. YAHUAH יְהֹוָה said אָמַר to him, Go through עָבַר the midst תָּוֶךְ of the city עִיר, through the midst תָּוֶךְ of Yerushalayim יְרוּשָׁלַם, and set תָּוָה a mark תָּו upon the foreheads מֵצַח of the men אֱנוֺשׁ that sigh אָנַח and that cry אָנַק for all the abominations תּוֹעֵבָה that be done עָשָׂה in the midst תָּוֶךְ thereof. Now the word “mark” that is found in this passage is in the Hebrew Tav (תו). All those who were found in Yerushalayim without this “mark” were slain. The mark – the Tav – is the mark of salvation; a mark of protection. YAHUAH יְהֹוָה said אָמַר to him, Therefore כֵּן whosoever slays הָרַג Qayin קַיִן, vengeance shall be taken נָקַם on him sevenfold שִׁבְעָתַיִם. And YAHUAH יְהֹוָה set שׂוּם a mark אוֺת upon Qayin קַיִן, lest בִּלְתִּי any finding מָצָא him should kill נָכָה him. Here the Hebrew word is owth (אוֺת), spelled Aleph-vav-tav, which is to say the Aleph Tav, attached to one another by the vav – the nail. We saw a similar connection in the construction of the modern Aleph (where two yods are connected by the vav), and the meaning here is similar. The name for the sign or mark that rescues Qayin from being slain by his brothers and sisters is the divine Aleph Tav fixed with the nail of Vav; the sign itself was the Tav. [There is a similar connection found in the name David (דוד). Here the dalet (meaning the door or doorway) is connected to the dalet (again the door) by means of the vav (the nail). The Magan David (star of David) which, in its form, is the Paleo Hebrew dalet representing the door to kingdom in the heavens (pointed upward) and the Paleo Hebrew dalet representing the door to the kingdom on earth (pointed downward). It is not complete without the inclusion of the Paleo Hebrew vav in the center (representing the nail of HAMASHIACH) which fixes the two together. And after these things I saw four angels standing on the four corners of the earth, holding the four winds of the earth, that the wind should not blow on the earth, nor on the sea, nor on any tree. 2 And I saw another angel ascending from the east, having the seal of the living ELOHIYM: and he cried with a loud voice to the four angels, to whom it was given to hurt the earth and the sea, 3 Saying, Hurt not the earth, neither the sea, nor the trees, till we have sealed the servants of our ELOHIYM in their foreheads. In Yechezq’el we see a mark being set on the foreheads of those who would be spared, and the mark was the Tav – the sign of the two crossed sticks. Here, at the end of the age, we see a seal being fixed – the seal of the living ELOHIYM – on the foreheads of those who would be spared the damnation that follows. Is it not the Tav? The word דָּבָר of YAHUAH יְהֹוָה came again unto me, saying אָמַר, 16 Moreover, you son בֵּן of man אָדָם, take לָקַח you one אֶחָד stick עֵץ, and write כָּתַב upon it, For Yahudah יְהוּדָה, and for the children בֵּן of Yisra’el יִשְׂרָאֵל his companions חָבֵר: then take לָקַח another אֶחָד stick עֵץ, and write כָּתַב upon it, For Yoceph יוֹסֵף, the stick עֵץ of Ephrayim אֶפְרַיִם, and for all the house בַּיִת of Yisra’el יִשְׂרָאֵל his companions חָבֵר, 17 And join קָרַב them one אֶחָד to another אֶחָד into one אֶחָד stick עֵץ; and they shall become one אֶחָד in your hand יָד. Sticks may be a generous interpretation here. The word in Hebrew is עֵץ `(etz) which means a tree. What kind of tree, you might ask? Well, an olive tree. YAHUAH called your name, a green olive tree, fair, and of goodly fruit: with the noise of a great tumult he has kindled fire upon it, and the branches of it are broken. And if some of the branches be broken off, and you, being a wild olive tree, were graffed in among them, and with them partakes of the root and fatness of the olive tree; 18 Boast not against the branches. But if you boast, you bear not the root, but the root you. 19 You will say then, The branches were broken off, that I might be graffed in. 20 Well; because of unbelief they were broken off, and you stand by faith. Be not high minded, but fear: 21 For if ELOHIYM did not spare the natural branches, take heed lest he also not spare you. 22 Behold therefore the goodness and severity of ELOHIYM: on them which fell, severity; but toward you, goodness, if you continue in goodness: otherwise you also shall be cut off. 23 And they also, if they do not abide still in unbelief, shall be graffed in: for ELOHIYM is able to graff them in again. 24 For if you were cut out of the olive tree which is wild by nature, and were graffed contrary to nature into a good olive tree: how much more shall these, which be the natural branches, be graffed into their own olive tree? We have almost answered the question concerning the Tav. Consider that the tree is called in Hebrew עֵץ `(etz); and that a branch (נצר netzer) shall grow out of the roots of Yishay (Jesse)(Yesha’yahu 11:1); and that the town of Natsareth (נצרת Netzerath) is the place of the Branch, and that נצר netzer means the seed of the tree, and that YAHUSHA was marked on the cross (which Kepha (Peter) refers to as a tree (etz) Kepha Ri’shon 2:24) as the Natsariy (נצרי), that therefore his followers might be known as the Natsariym (נצרים). The Tav, the two crossed sticks, the two crossed trees, ultimately, is Yisrael. 31 Behold, the days come, says YAHUAH, that I will make a Renewed Covenant with the house of Yisra’el, and with the house of Yahudah: 32 Not according to the covenant that I made with their fathers in the day that I took them by the hand to bring them out of the land of Mitsrayim; which my covenant they broke, although I was a man unto them, says YAHUAH: 33 But this shall be the covenant that I will make with the house of Yisra’el; After those days, says YAHUAH, I will put my Torah in their inward parts, and write it in their hearts; and will be their ELOHIYM, and they shall be my people. 34 And they shall teach no more every man his neighbor, and every man his brother, saying, Know את-YAHUAH: for they shall all know me, from the least of them unto the greatest of them, says YAHUAH: for I will forgive their iniquity, and I will remember their sin no more. Let’s us conclude, if even possible, with a discussion of the Aleph Tav as joined together. 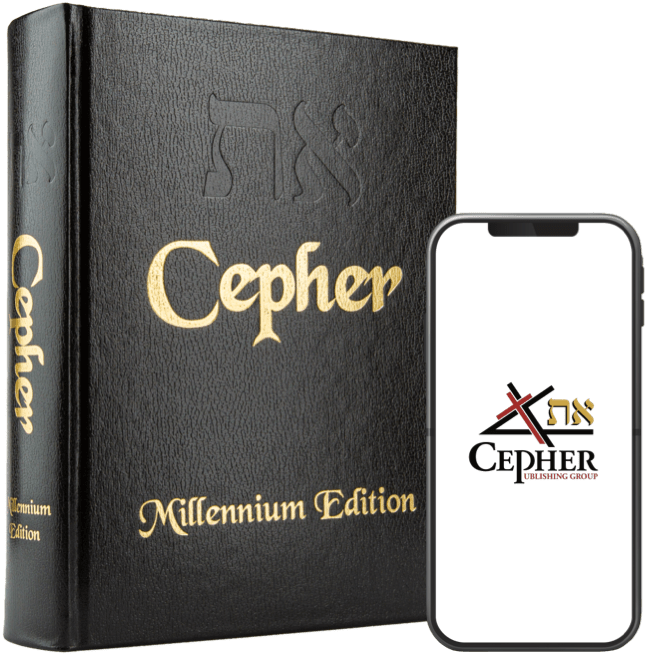 The Aleph is the written expression of the divine mystery of ELOHIYM, while the Tav is the mark of Salvation that is ultimately all Yisra’el. (Halleluyah!). In the beginning was the Word, and the Word was with את ELOHIYM, and the Word was ELOHIYM. 2 The same was in the beginning with את ELOHIYM. 3 All things were made by him; and without him was not anything made that was made. 4 In him was life; and the life was the light of men. 5 And the light shines in darkness; and the darkness comprehended it not. So, the Aleph Tav? It means not only the spoken Word, and the Written Word of ELOHIYM, but every Word in His contemplation, and its marker in the sacred scriptures is to denote that the referenced object of the mark had been written first in the heavens. You might call it divine. I am the Aleph Tav; the beginning and the end, the first and the last. 14 Blessed are they that do his commandments, that they may have right to the tree of life (etz chayim), and may enter in through the gates into the city.